A Beginner’s guide to Bali. | REWRITING THE RULES OF LIFE, TRAVEL & BEYOND. A Beginner’s guide to Bali. Being of Indonesian heritage, Bali has always been a second home to me, so i’ve compiled a few tips, tricks and hints to get the BEST out of your Bali experience. Did you come here to party? Did you come here to relax? Did you come here to do absolutely nothing? Perhaps, a little bit of surfing, fishin’ and a mixture of everything. Then, Bali is the place to be! – First and foremost, once you step out of that airport get a ticket from the desk to you’re destination so you’re not paying ridiculous prices. It should be around 80 000 – 100 000 to get into the main areas. – Try and not take out your credit card, or phone on a night out. Why? simply because you will probably end up absolutely retarded and lose it all, with limited recollection. – Don’t trust everyone you meet. This doesn’t necessarily mean you shouldn’t trust them, but there are the few that will try to fool you so be cautious and wary of their intentions. Especially on the beach, and unfortunately enough the little kids that try and sell you stuff. – If you know you’re going to be staying somewhere long term, or more than a week, try and negotiate a price. This usually involves accommodation, scooters and cars. – Visa extensions: There’s an immigration office that takes three (long and spread out) days, which you have to do 7 days before your visa runs out. It costs 250,000 so if you’re on a tight budget and no time frame, I highly recommend it. Otherwise you’re looking at paying between 450,000 – 750 000 through an agency. – Surfboards, and scooters are a primary target for tourists to get ripped off, so PLEASE be cautious of what you’ve hired. They will try and charge you ridiculous prices for a ‘scratch’ or ‘damage’ that may have already been there. So be wary, and in the case you do cause some damage, try and know how much it should be to repair so you do not get ripped off. You should not be paying any more than 200,000 depending on the damage! – If you’re phone is unlocked, GET A LOCAL SIM. It’s so cheap, and you will have the privilege of being able to contact any of your friends regardless of where you are. – Unless you want to end up like Schapelle Corby, in Hotel K. Don’t buy or take drugs. Do the math. It may appear like a little dingy looking place, but don’t be fooled. Once you walk in you will be surprised that this ridiculously cheap inn has a pool, and an awesome atmosphere + free breakfast. 2. Suka Beach Inn- also has a pool, and has many rooms available that are actually clean and very affordable. 1. 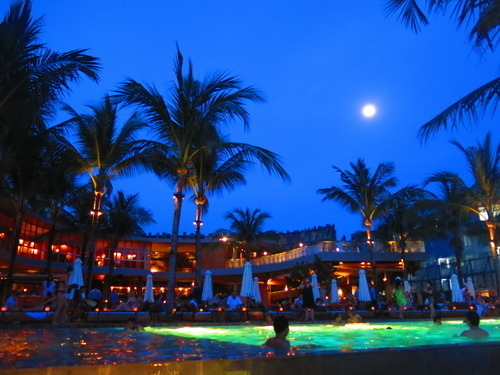 Sky Garden – One of Bali’s largest nightclubs. They offer all you can eat for 50,000 every night 8 – 10 and then unlimited drinks from 9 – 10. Free before 10 and after 3am. Otherwise it costs 100,000. 2. Alleycats: down poppies lane 2, with lots of cheap drink options. 3. Eikon: another bar/club that everyone heads to after Alleycats, and before Sky Garden. 4. 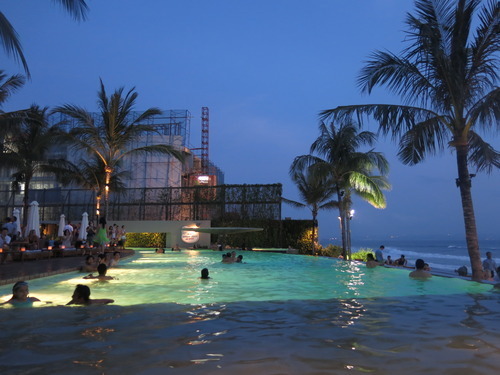 Potato Head Beach Club – Seminyak. Get there early, or make a reservation 2 days prior to avoid the ridiculous queue for the sunset. It really is worth it once you’re in though! 5. La Plancha – Seminyak. 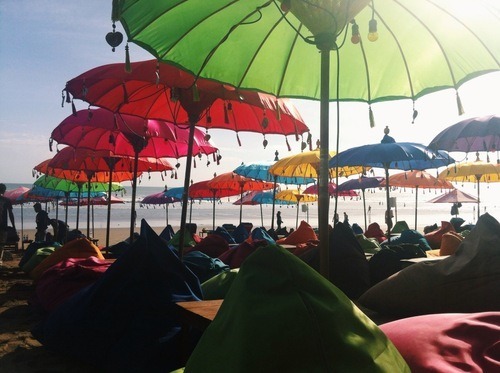 Operation beanbags from 5 – 10 where people flock to watch the sunset underneath bright coloured umbrellas and lights. Awesome, lively and chilled out atmosphere. You haven’t been to Bali until you’ve experience this vicious repetitive cycle. Trust me. Sky Garden offer all foreigners unlimited drinks from 9 – 10 EVERY night. There is no catch. Just a whole lot of sweetened alcoholic beverages, that CAN and MAY lead to blackouts. Progressively, a lot choose to either stay or leave this trap, and head down to alleycats (which is literally down an alley) and you are left with an array of cheap beverages. The main seller is the ‘double double red bull vodka’s’ at 15,000 per glass! Be prepared for the hangover from hell though. 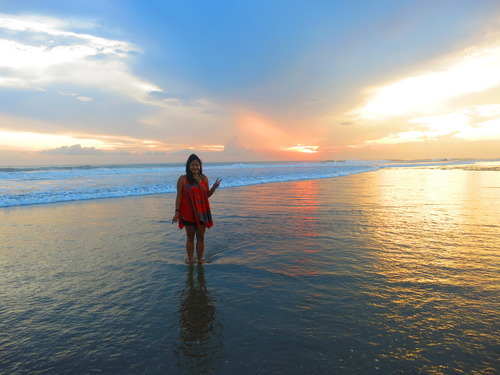 When you feel like taking a break from Kuta, head over to Seminyak or Uluwatu for a change! 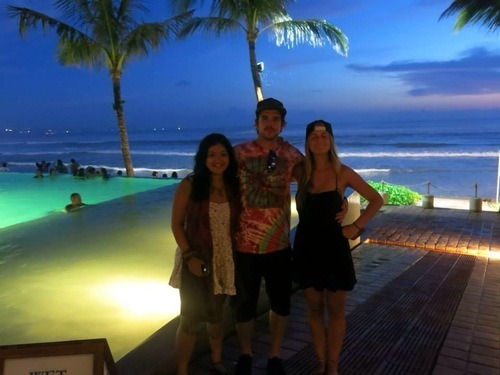 Hope this post has helped a lot of you who have been asking on some tips and tricks for Bali! ENJOY!